Welcome to SitcomsOnline Digest! This week, we're hearing about stars of two long-running sitcoms going into the world of production, we're learning who the new anchor is for the CBS Evening News, and more. Let's get going! 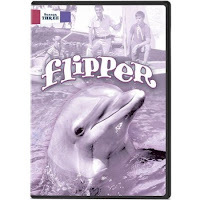 Flipper - Season Three (DVD, $34.95): Olive Films brings this classic series to home media with the third season. Who to Follow: Colton Dunn (Twitter), "Uncle Phil on chill. #Superstore #LazerTeam #KeyAndPeele The Russians Won. 🤜🏽🐸💨"
Claim to Fame: Colton Dunn isn't exactly a household name, and part of that was because he got started with a lot of behind the scenes work, such as writing for MADtv and working on Late Night with Conan O'Brien. But lately, he has gained fame for series such as Key and Peele, and most prominently in recent years, he has starred as Garrett on the NBC comedy Superstore.